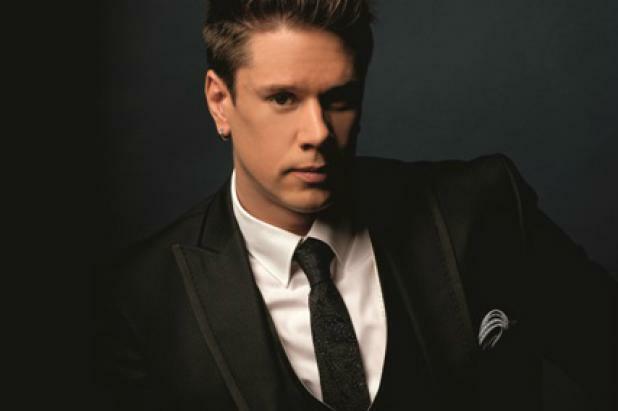 In conversation, the American tenor David Miller will as happily discuss the tonal components of the human voice or even the subliminal undercurrents at work in grand opera, as he will the reasons why he is so proud of the new Il Divo record. This isnʼt to suggest he is drily over-analytical; on the contrary, David has a real sense of humour, and takes obvious delight in vividly verbal digression. And he certainly remains as fascinated by the voiceʼs power to emote as when he first performed, as a teenager in Colorado singing musical theatre (where he first fell in love with singing), or as when he studied/analyzed the harmonic spectrum of operatic voices during his five years at the Oberlin Conservatory of Music in Ohio. The communicative power of the voice, expressed through the music of Il Divo, is just one of the reasons, David said, why he is still so absorbed and excited by the quartetʼs albums and live performances. “The human voice has the greatest capacity for expression of any known naturally resonant instrument of sound”. Remark upon the force of nature that Il Divo represent when their four voices unite or harmonize in song and David will reply by citing research into the tone structures at work, something he undertook at the conservatory. “One can see that, when a note is played on, say, the trombone;” he continues, “it has about four or five clear overtones (when analyzing it through harmonic spectrography). The human voice, on the other hand, has literally hundreds” It is this vast complexity in the human voice, he continues, that gives it its overwhelming emotional resonance. David is too modest to attribute such power to Il Divo directly but their fans will happily, readily, attest to that. From Oberlin, David would go spend the next ten years making appearances in opera productions around North America, South America, Europe and Australia. In addition, he kept the musical-theatre flame burning, in a sense, by starring in Baz Luhrmanʼs production of Pucciniʼs La Boheme on Broadway. Such categorization is missing the point. “I wouldnʼt call Il Divo opera. It is a blend of many styles, a hybrid.” Blend, hybrid, call it what you will, its a combination that has won over millions of fans. “Its never been as calculating as that.” David says. “It is, and always has been, all about the voice, or, the voices (depending on how you look at it). The range of colors that the four of our voices have is a much broader spectrum than any single voice could pull off alone. And we bring our four palates together and paint on a much larger canvas than any of us could do by ourselves.